This Thursday night John van der Brom takes AZ Alkmaar over to Serbia to face the stern test of Partizan Belgrade, here’s Milos Dusanovic of Serbian Footy to give us the lowdown on the current SuperLiga champions. FK Partizan is one of the most famous and storied football clubs from the former Yugoslavia and Eastern Europe. They have won 26 league titles, 12 cup titles and were the first Eastern European club to appear in a major European final when they lost 2-1 to Real Madrid in the 1966 European Champions Cup. Partizan has had modest success in Europe in the last 15 years, they have qualified for the Champions League group stages twice (2003 and 2010) and the Europa League group stages a total of seven times (2004,2006,2008,2009,2012,2014 and 2015). Partizan reached the round of sixteen of the Europa League in 2004 but since then they have only managed one victory in their last 26 group stage matches which is a truly terrible record. They will hope to end that horrible streak this time around but group L is extremely tough and it will take a lot for them to get a victory. Partizan usually plays in a 4-2-3-1 formation, with most of their attacks coming from the wings through Andrija Živković and Aboubakar Oumarou. They also rely on the creativity of midfielders Stefan Babović and Saša Ilić to create goalscoring chances through the middle. When it comes to Europe, the club installs defensive tactics and looks to hurt their opponents on the counter. Unfortunately this tactic does not work very well for them because the clubs back four is very weak and susceptible to mental and positioning errors. The last match Partizan played was the 149th Belgrade Derby against bitter rivals Red Star this past weekend. Their defence was continuously cut apart in that match en-route to a disappointing 3-1 defeat. 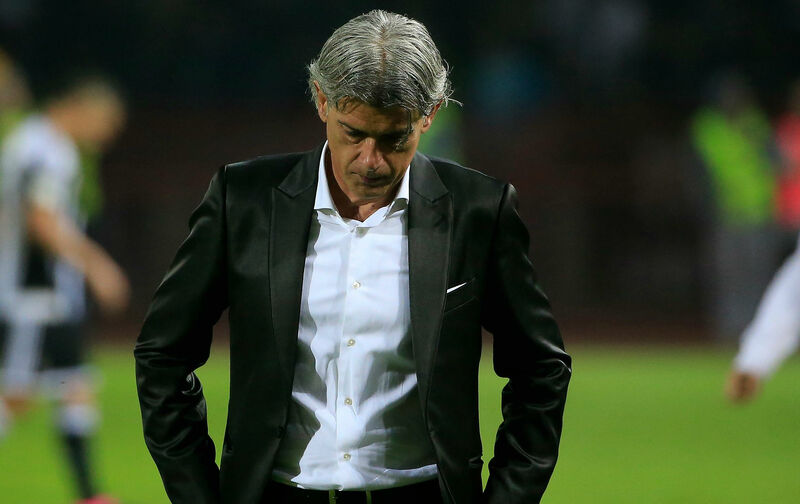 More of the same should be expected when they come up against stronger opposition in Group L.
Partizan’s manager is Zoran Milinković, he was appointed in late March and led the club to a league title. He is a experienced Serbian manager who is known for having organized sides that play hard. He is currently on the hot seat and in danger of losing his job after the clubs poor performance in the Belgrade Derby. The usually dominant Partizan currently sits fourth in the league table with three losses from eight matches which is their worst start to a season since 2006/2007. If these disappointing results continue Milinković will be relieved of his duties before the end of the month. Partizan’s main danger man is without a doubt 19-year-old Andrija Živković. The speedy winger is one of the most coveted young players in Europe after leading Serbia to a surprising first place finish at this years’ FIFA Under-20 World Cup in New Zealand. Živković is a difference maker on the pitch and his combination of speed and skill is very difficult for any side to deal with. He is Partizan’s main offensive weapon and the key to their counter attacking strategy in European matches. Živković is also known for his set pieces, he can score free kicks and has a very good delivery from corner kicks which adds another potentially dangerous element to Partizan’s attacking play. Click the name above to follow Milos on Twitter.